In addition to his reputation as a guitarist, Henderson is a luthier of great renown. He is a recipient of a 1995 National Heritage Award presented by the National Endowment for the Arts. He produces about twenty instruments a year, mostly guitars; he is almost as well-known for the mandolins he has made. Doc Watson, a good friend who sometimes stops at Wayne's shop in Rugby, Virginia, to pick a few tunes owns a Henderson mandolin. Some of Henderson's instruments are intricately decorated, but they are most respected for their volume, tone, and resonance. Blues guitarist John Cephas said that Wayne Henderson "is probably the most masterful guitar maker in this whole United States." There is a waiting list for Henderson's guitars made up of the "famous (and not-so-famous)." He built a custom guitar for Eric Clapton. Above and beyond his great talents as a musician and instrument maker, Wayne Henderson is known as a "friend to everyone" and shares his talents and knowledge unselfishly. Hotshot rockabilly pianist Jeff Little comes from Boone, North Carolina, in the heart of the Blue Ridge, where he grew up surrounded by music. Jeff began to play piano at age five. His family owned a music store, and musicians of all persuasions dropped by to play a few tunes with the kid, which helps account for Jeff's mastery of a range of styles. But Jeff's critical influence was Appalachian singer and guitarist Doc Watson, a neighbor and close family friend. His uncompromising approach helped shape Jeff's approach to music. Now well known as a keeper of deep Appalachian traditions, Watson was a rockabilly guitarist when he began visiting Little's Music Store in Boone to play a few tunes with his young friend. Today Jeff Little is still conversant with a range of music, but finds his greatest joy in performing two styles that were hot when he was growing up in the music store. These are rockabilly and traditional Appalachian styles. An astounding performer in the rockabilly genre, he obviously owes some inspiration to Jerry Lee Lewis. "Oh sure, you had to know some Jerry Lee when I was coming up. His tunes would buy you a burger; you didn't have to live on peanuts. But even back then I never did get to thinking I was Jerry Lee. I kept a lot of me in my music." 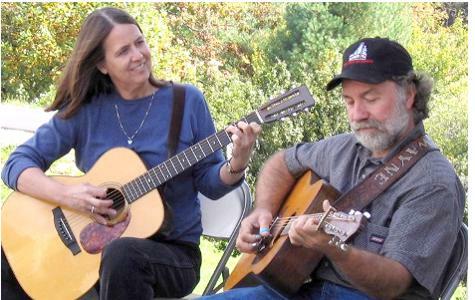 Rounding out Wayne's group of friends accompanying him will be Helen White on fiddle and guitar, Greg Cornett on banjo and vocals, and Herb Key on bass. For one of the best nights of old time music you can imagine, don't miss Wayne Henderson and Friends with Jeff Little. Be sure to bring along your dancing shoes - and your friends!